If Horror Library anthologies aren't already one of the standards by which modern horror collections are measured, it can't be much longer now, judging by 2010's Volume Four. The series, comprising the work of relatively unknown authors at its inception, has increased in both momentum and star-power with each new addition. Any collection is bound to contain some below-average work; you'd have an easier time finding Bigfoot than a perfect horror antho. However, Horror Library Volume Four has a higher-than-average amount of excellent work and even the subpar status granted some of these stories is a matter for debate rather than a cold, hard, statement of fact. Standouts from this collection include the introductory “A Very Important Message for Those Planning to Travel to Costa Rica.” Unique in terms of its basis in real-world events and in its second-person narrative, “Costa Rica” is in keeping with the traditional opening pieces for these collections. “Into the After,” Kurt Dinan's story of a boy and his father seeking the help of a spiritualist in offloading excess baggage from September Eleventh, was a quick, surprising blow to the solar plexus. Bentley Little's “Jammers,” about a potential source of traffic jams, is based entirely in nonsense and comes with no suspension of disbelief whatsoever, but is fun all the same. “What Was Once Man,” by Michele Lee, is a nice little Easter egg for fans of her zombie novella, Rot. “The Healing Hands of Reverend Wainright,” Geoffrey Mudge's tale of a sinister traveling evangelist and his carnival-esque band of helpers, hints at a backstory that would make an excellent novel. Less remarkable is Harrison Howe's “Driving Deep Into the Night,” about a dead prostitute and her many mourning suitors, told in a jumbled style that sacrifices easy reading on the altar of surrealism. “Sleepless Eyes” by Tim Waggoner would serve admirably as a lesson in how to properly gross someone the Hell out but is not a story at all, merely a study in scene-setting. “Continuity” by Lorne Dixon isn't necessarily a bad story, but sticks out like a sore thumb given that the author has another story in the collection. This is the first time two stories by the same author were included in one of these collections, and “Continuity” just isn't good enough to warrant such special treatment (though I do give Dixon credit for his demonstration of range), especially when “Ash Wednesday,” Dixon's other story, is so much more fun. 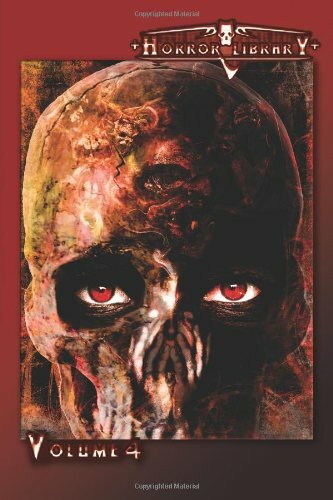 Overall, Horror Library Volume Four is another excellent feather in RJ Cavender and Boyd Harris' hats, and in those of the contributing authors, who can no doubt expect to see an award nomination or two come out of this book. Disclosure: This reviewer has been involved with the Horror Library since 2006, has served as a Contributing Writer for its late website and is proud to call many affiliated with the Horror Library his friends. 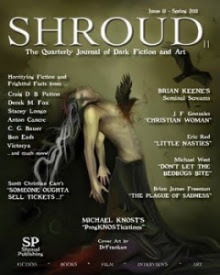 This association did not affect this review in any way, any more than it has kept this reviewer's work from being rejected for at least two of the Horror Library anthologies. We're all professionals here.